In this moving and timely story, a young child describes what it is like to be a migrant as she and her father travel north toward the U.S. border. They travel mostly on the roof of a train known as The Beast, but the little girl doesn t know where they are going. She counts the animals by the road, the clouds in the sky, the stars. Sometimes she sees soldiers. She sleeps, dreaming that she is always on the move, although sometimes they are forced to stop and her father has to earn more money before they can continue their journey. As many thousands of people, especially children, in Mexico and Central America continue to make the arduous journey to the U.S. border in search of a better life, this is an important book that shows a young migrant's perspective. Jairo Buitrago is a children s book author who has collaborated with Rafael Yockteng on several award-winning picture books, including Jimmy the Greatest! (which received six starred reviews) and Camino a casa. Together, Jairo Buitrago and Rafael Yockteng have won the A la Orilla del Viento contest (Fondo de Cultura Economica de Mexico), and their books have been named to IBBY s Honor List, Los mejores libros del ano (Venezuela s Banco del Libro), Kirkus Best Books, the Horn Book Fanfare, and they have been selected by the International Youth Library in Munich, Germany, for the White Ravens Catalogue. Rafael Yockteng has illustrated many highly acclaimed children s books, including Sopa de frijoles / Bean Soup by Jorge Argueta (USBBY Outstanding International Books) and Jimmy the Greatest! by Jairo Buitrago, which received six starred reviews. 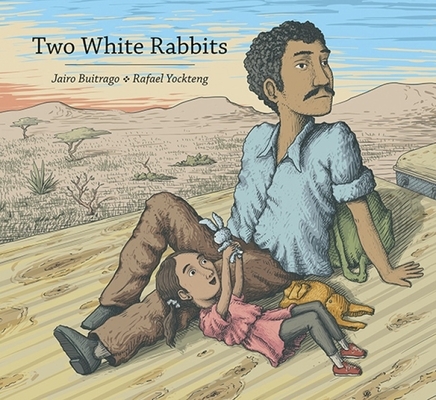 Together, Rafael Yockteng and Jairo Buitrago have won the A la Orilla del Viento contest (Fondo de Cultura Economica de Mexico), and their books have been named to IBBY s Honor List, Los mejores libros del ano (Venezuela s Banco del Libro), Kirkus Best Books, the Horn Book Fanfare, and they have been selected by the International Youth Library in Munich, Germany, for the White Ravens Catalogue."